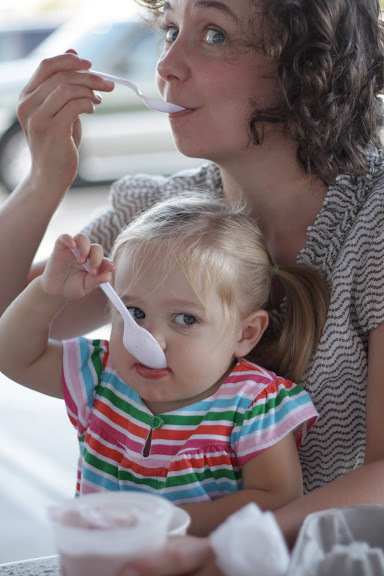 The View Across Town: She loves ice cream, just like her Momma (and Aunt Betsy and Mère)! She loves ice cream, just like her Momma (and Aunt Betsy and Mère)! This is a contest winner! We need a framed print for the kitchen.